The field of Marriage Family Therapy is exciting in many aspects. The road to becoming an MFT is said to be trying, however the rewards of such a gratifying career seem to far out weigh the lengthy education requirements. MFT's are let into countless lives and become the confidants of many different people during their careers. They are often a huge part of individuals getting the help and support they need to turn their lives around and repair and rebuild broken relationships. Having the determination, personal skills and compassion to handle a career like this is only half the battle. It takes many years of training for an individual to be able to hold the title and accomplish the myriad of tasks a MFT can be faced with. Lia Huynh is one such individual who was naturally gifted at being a confidant and giving personal advice to people who needed it. She turned this gift into a career through a lot of hard work and perseverance. Lia, even as a young adult, was often turned to when friends needed guidance and advice. She thought of this as a gift; she was honored that people wanted to invite her into their personal lives in that way. In her interview, you'll see that Lia still considers this a gift and has an amazing attitude that no doubt helps her in her work with clients. Where did you attend school? Undergrad? How did you first become interested in marriage and family therapy?Grad? How long did it take to become certified? I attended UCLA for undergrad and San Francisco State University for graduate school. Took me two and 1/2 years to finish my master's program because I got a dual master's degree in Marriage Family Therapy and also School counseling. From there, I had to accrue 3000 hours and sit for my licensing board's examination. The 3000 hours took me nine years, because I took some detours along the way, and also because collecting those hours are pretty grueling (a lot of people don't finish), but I did it. Some people can do it much sooner if they are very determined. How did you become interested in MFT? My mother is a great listener and I'd like to think I learned a thing or two from her. ( She used to be a bartender and she spent a lot of time doing free counseling!) Anyway, from a young age, I was always the one that people went to when they had problems. I remember feeling very privileged that people would let me into their lives, and it felt good to help them. I know that some people don't know what to say when someone has a problem. For me, it was natural. When I was a senior in high school, I ended up taking a Peer Counseling Class. At that age, everyone followed their friends when it came to electives, and none of my friends were vaguely interested in Peer Counseling. I didn't care. I enjoyed learning about active listening and using reflections; my teacher said I was good at it and should consider it as a career. A career? I didn't even know you could get paid to do this, let alone let it be a career. During what part of your education did you have to make a decision to go full steam ahead toward this practice? I was deciding between business and psychology at first. Business for practical reasons--more financial stability. I was lucky, though, that my parents (unlike a lot of my friends' parents) did not pressure me into doing the "safe" major but told me to just choose something I liked. So I made the decision and it was so fun and interesting to me that I never questioned it. What was the hardest part of your education process? Did you have any setbacks, challenges, or epiphanies along the way? I think the hardest part was deciding what kind of graduate education I was going to get. I wanted to get a PhD but it is very expensive to go to a private school and public schools in California that have PhD programs are very difficult to get into. I think it was something like 6 people out of 300 applicants got in so basically I had a 2% chance. I decided to give it a shot and attempt doing what I needed to do to give me a good chance of getting in. Then I was a research assistant and at the end of that stint, I decided I didn't want to do research and was reminded about that peer counseling class and how much I wanted to be a clinician, not a researcher. So it was a no brainer. I took a year off to work, got some experience, and applied for schools and I was on my way. Tell us about your practice. It seems as though you are versed in many aspects of therapy? I see a broad range of clients. I get a lot of people wanting marriage counseling because it's in my title, but I also get a lot of people dealing with Depression, Anxiety, loss, identity crises, or just people who are stuck in a rut and want to get out. I tend to see people in the younger range (40's and below), although I do see people who are older and we do fine together. I also see a lot of Asian Americans who are looking for someone who shares their culture and similar family history. Are you continually surprised by some of the topics you deal with on a daily basis? If so, what aspects of your education and training have been most crucial to your success? Give us some examples of the day to day processes you maintain as a therapist. I am surprised and I'm not. I feel like the human condition has not really changed since the beginning of mankind. So the specifics of people's lives are different, which is what makes therapy fun and exciting, but the core issues like disappointment, anger, pain, as well as love and healing, are the same. Underneath all the specifics are the core issues that everyone on some level can relate to. Uncovering those core issues is what the art of therapy is. In terms of my education, I feel that the biggest influences on my identity as a therapist has been one where we are taught that it's more important to BE a therapist rather than DO therapy. That our own character and the relationship we foster with our client is what is going to bring change. Yes, we need technique. We need to know who Freud is. But our foundation is what we bring as a person into the therapy room. I learned that you cannot "learn" from a textbook how to be a good therapist, that it comes from living life and dealing with problems, getting through problems, feeling your feelings and finding healing so that you can show your clients with confidence that "if I can do it, so can you." Day to day is pretty structured. I spend a lot of time talking with new potential clients--psychotherapy can be a very mysterious process, so people often have a lot of questions, and for good reason. I like to educate my clients and help them find the best solution, whether they decide to book an appointment with me or not. I see clients in 45 minute blocks and spend time at the end of my day doing charting. I try to have lunch with a colleague regularly to find support, and also attend seminars and do a lot of reading on various techniques and the newest research. Who/what are some of your biggest influences? Any recommendations of authors, speakers, or experts you suggest to follow for folks interested in marriage and family therapy as a career? I like John Gottman for all things having to do with marriage. I enjoy Dr. Daniel Amen's Change Your Brain Change Your Life , for some of my clients who want a scientific view of what's going on in their brains. I also enjoy Martin Seligman and positive psychology. Irvin Yalom is great. How do you promote your business? Are you actively looking for new clients? How does one begin the process of developing their own practice? Challenges? I mostly promote my business online. I do give talks and workshops from time to time but most of my business comes from people who are looking online. I am always looking for new clients. If you want to start your own practice, be prepared to work hard. There are so many intricate details involved. When you work for someone else, you get paid for everything you do (if it's a good company). When you have your own practice, you do everything--answering phones, taking out the trash, buying paper. Of course you can hire someone, which I do for some things, but I do a lot, since I'm a perfectionist which I'm trying to work on! If one wants to begin the process of developing their own practice, I would read a lot, pick peoples' brains, and don't expect a big profit right away. You have to really love it (the process of therapy) and you really have to have a genuine desire for helping others. Good business skills also helps. Do you intend of furthering your education at the degree level? Do you work with universities or companies for research or simply run your own practice? I want to further my education, but not right now, I'm just too busy. I run my own practice. If you could go back in time and choose to do your education all over again would you choose the same path? School? Business settlement? Yes, I would do the same thing over again. No regrets. Any final words for the future marriage and family therapists who are reading this? I feel like when people open up to me, it is a gift that I don't treat lightly. And when I see them get better or make progress, I feel privileged that I got to be a part of that. It's such a rewarding experience. At the same token, you deal with a lot of pain, and you are reminded of your own pain when you do this work. It's important to know that it's not easy work, and if you want to be a good therapist, you need to be able to face pain and all of the negative emotions that most of society likes to either hide from or numb themselves to avoid. So we as therapists need to take good care of ourselves, set boundaries, foster healthy relationships, learn to deal with anger and sadness, and be an example of courage to our clients. 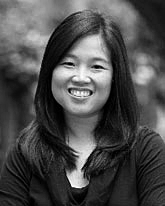 Lia is a Marriage Family Therapists with her own practice in Milpitas California near San Jose and the Bay area. You can learn more about Lia at her website www.liahuynh.com.